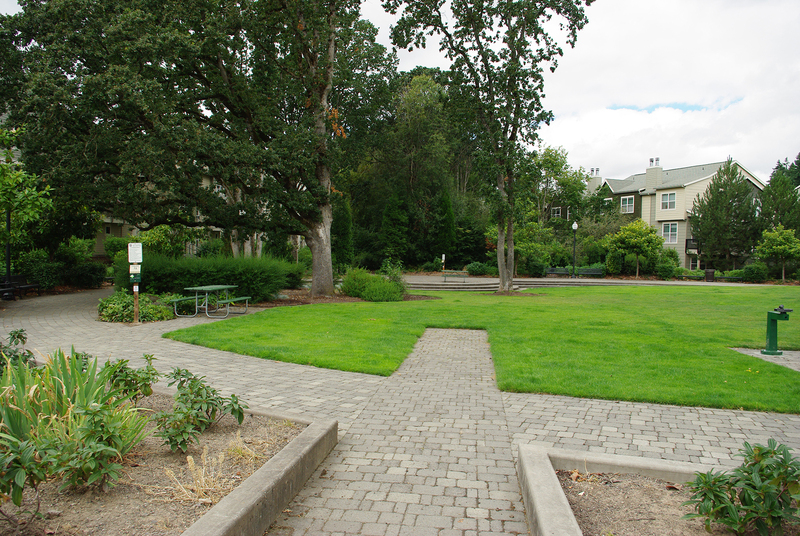 Evergreen Park, in Hillsboro, Oregon is a community park consisting of three connected parcels that form an open space within a high-density neighborhood. This 15-acre park is surrounded on all sides by apartments, none of which have open space of their own. Native Oregon oaks form the entry to Evergreen Park, which is the heart of this growing neighborhood. 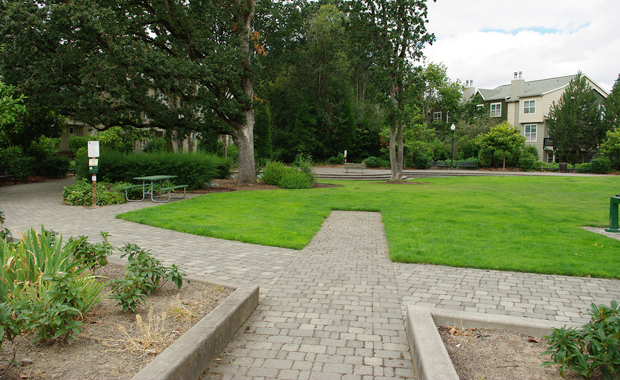 Hillsboro Parks Department hired NNA Landscape Architecture to facilitate the planning and development of this new park. Evergreen Park provides residents with a big gathering space, play area and access to nature on trails through a mature forest.